Welcome …and thanks for visiting. The idea of this website is to provide some information about myself, my range of watercolour paintings; subject matter; pricing and sizes; exhibitions and commissions, and the other things that I make, so that you can contact me with confidence. 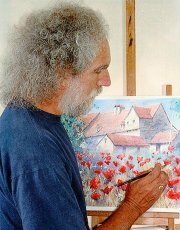 Born in 1946 and brought up in Christchurch, I am completely self taught & moved to mid-Norfolk in 2006 with my wife Hilary, where I am now finding great inspiration for my painting in the coast and countryside of East Anglia. I paint mainly in watercolour but also in acrylic, and design and produce a variety of woodcraft items. © 2019 Christopher Hollick. All Rights Reserved.